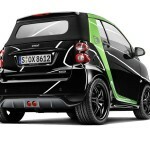 Brabus, the Bottrop-based tuning specialist, has unveiled its take on smart’s third-generation fortwo electric drive and ebike ahead of their appearance in Geneva next week. 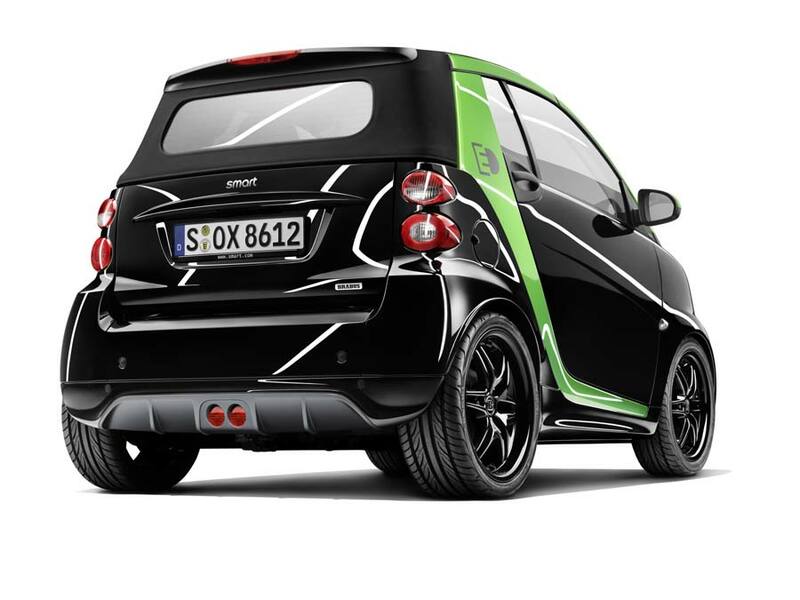 Delivering 60 kW (80 hp) and 135 Nm (100 lb/ft) of torque, the motor in the smart Brabus electric drive is slightly up on the standard car’s 55 kW (74 hp) and 130 Nm (96 lb/ft) peak output, helping to turn those Monoblock VII alloy wheels, which measure 16-inch at the front and 17-inch on the rear. 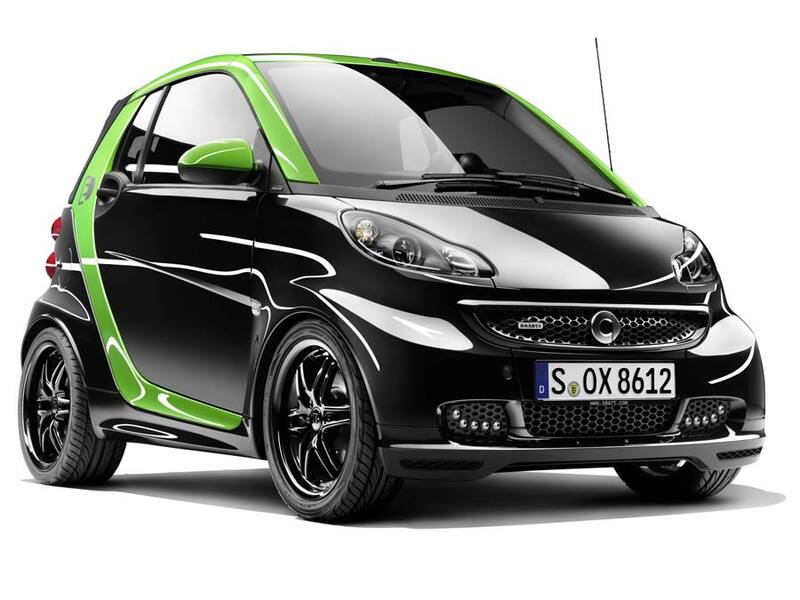 Other visual clues to the car’s nature include the Brabus Xclusive aero kit, a lower ride height, dark headlamps, electric green paintwork on the tridion safety cell and door mirror casings. 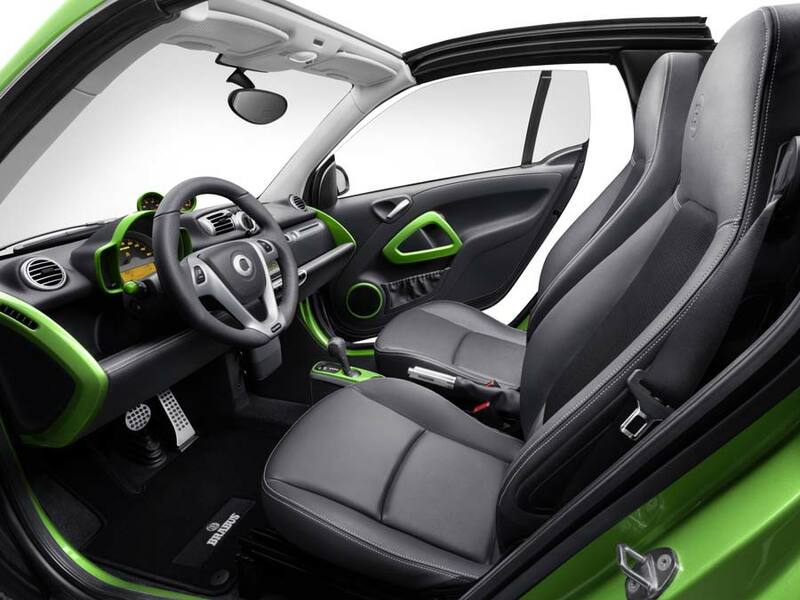 The electric green theme continues inside with the door trims, speaker rings and dashboard elements providing a vivid contrast to the black leather seats. 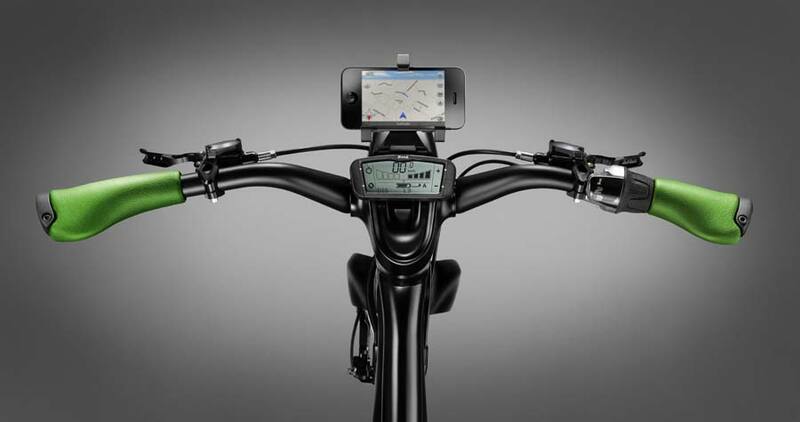 Brabus also adds its own handbrake handle, stainless steel pedals, cockpit clock and rev counter. 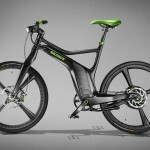 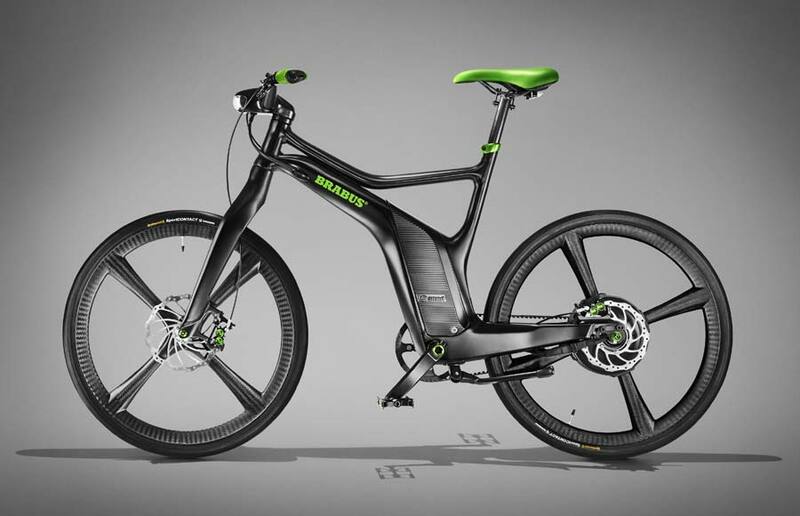 The ebike has received a more extreme upgrade, with Brabus not only doubling power in the wheel hub motor to 500 watts, but also adding lightweight cranks and pedals as well as a carbon fibre seat post. 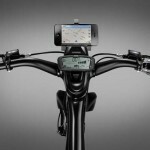 A handlebar-mounted throttle grip allows the rider to choose between four power levels, the maximum allowing a top speed of 45 km/h (28 mph). 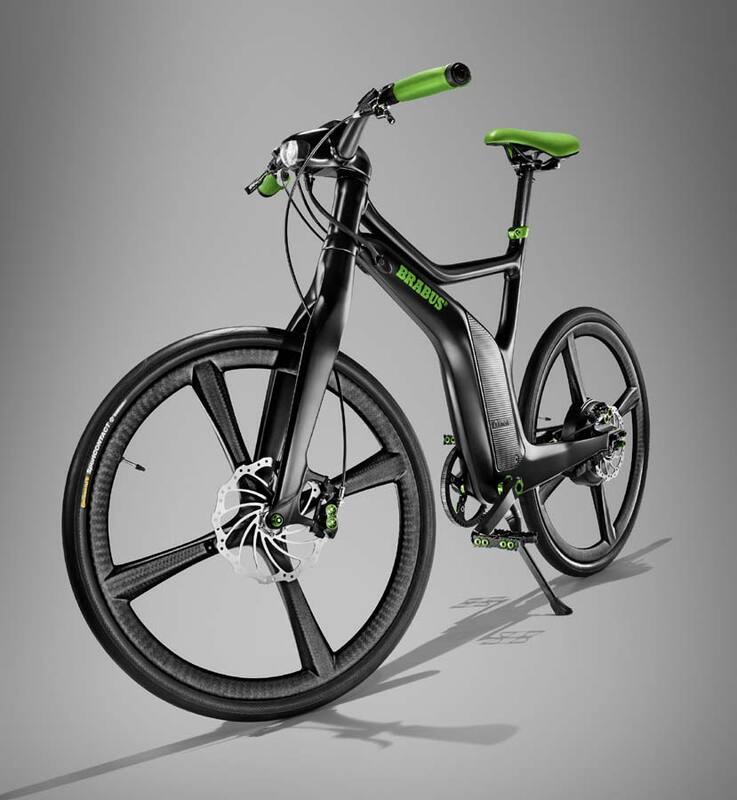 Optical differences include a matte black frame and fork set, a green leather saddle and grips, and anodised green skewers, seat post clamp, pedals and brake calipers. 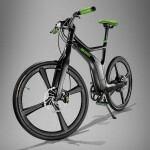 It will be in smart dealerships by the end of the year.